This company knows exactly how to attract their target customers – most students pick their content providers based on affordability. However, while the name of cheapwritingservice.org seems one of the most inviting on the market, you must also pay attention to the remaining features. If a company offers cheap prices as the ONLY benefit to students who order their papers online, you are doomed to get a low quality paper and terrible service. To find out if this company is as good as it sounds, we evaluated all key features. We cannot say we were completely disappointed by the list of services offered, but this list is far from extensive. When in search of a regular content provider, students need companies that can deliver it all – starting from the most popular papers such as essays, to dissertations and PowerPoint presentations. This company is somewhat average when it comes to range of writing services offered. If you got the impression that this is a cheap service, you got it right. 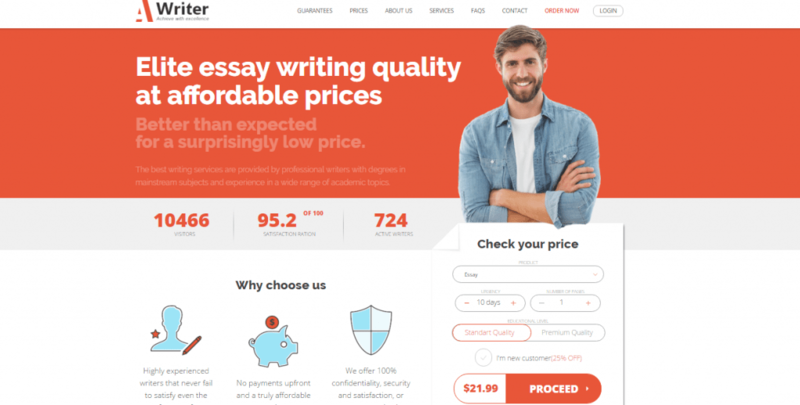 With a starting price of only $8 per page for high school level paper and a deadline of a week, this is one of the cheapest writing services we have seen online. The highest price here is $60 per page for a Master’s level paper of only 8 hours. Once again, this is an extremely cheap price when compared to other companies on the writing market. The second disadvantage of the service is that they have no discounts. Of course, this is not that much of an issue because the original prices are incredibly cheap. When we saw the company’s pricing, we became worried immediately. Companies that offer unreasonable and unrealistic prices for academic content are usually those scam services students always complain about. They use cheap prices to trick students into purchasing their services, then deliver no papers, plagiarized papers, or low quality papers after the deadline. In this case, we did get a paper within the deadline. So, this is not so much of a scam service as we thought. However, the quality of our paper was so disappointing, there was no room for a revision. The essay was obviously written by someone with very bad English, had a lot of plagiarism, and so many mistakes, it simply could not be fixed. After our disappointment by the quality of papers offered, we got another negative surprise by the customer service. Unfortunately, cheapwritingservice.org is one of those companies who do not have 24/7 customer service, or in our experience, no customer service at all! After four attempts, we finally gave up on trying to get in touch with their agents. Overall, cheapwritingservice.org is a company with extremely cheap prices, but very bad services. Not only they offer a limited list of academic papers, but they have no available customer support service and terrible writers working on orders. Basically, it is not a company you should consider for your papers, even if their pricing seems inviting.